Store the vehicle keys in your dealership safely and conveniently with the Keyboard With Self-Closing Tabs. The keys stay on the hooks thanks to the self-closing tab construction. 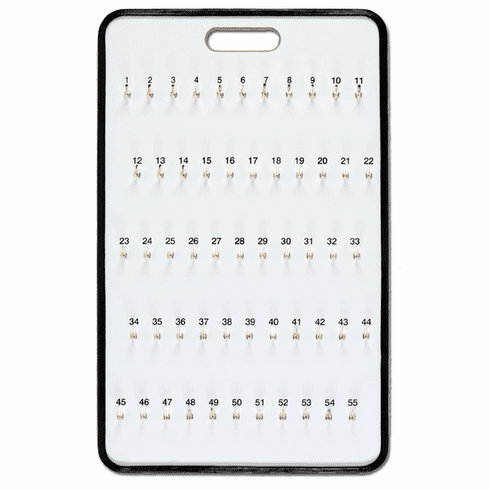 The numbered hooks mean organizing and finding the correct keys is quick and effortless. With a comfortable handle at the top, the board is easy to carry to a secure location at closing time.